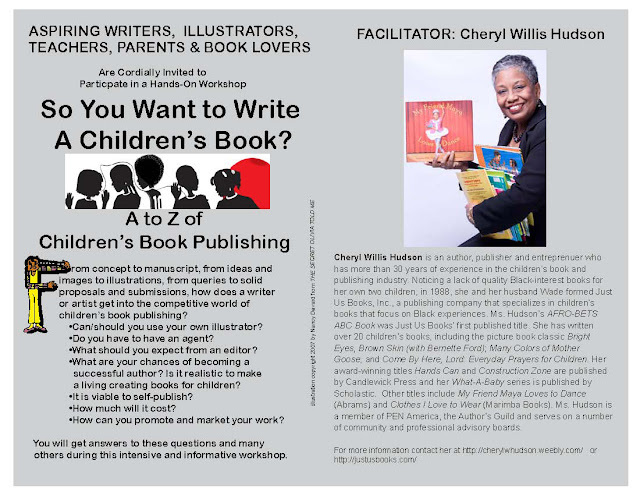 So You Want to Write a Children's Book? Get tips on the ABCs and 123s that will help you get started. 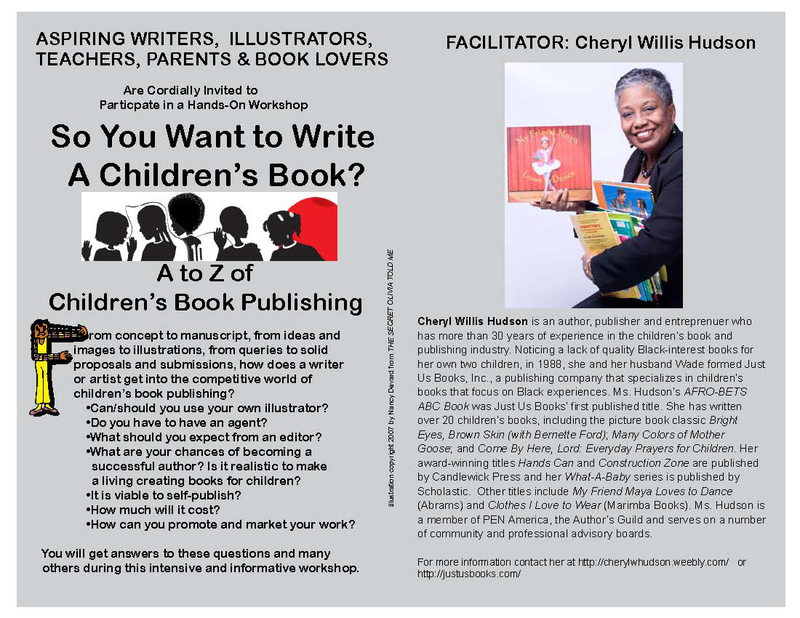 Free workshop with Cheryl Willis Hudson, editorial director of Just Us Books, from 1-2 pm at the 1st Annual Westchester Multicultural Children's Book Festival. 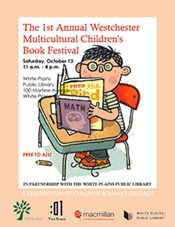 White Plains Public Library. Saturday, October 13th. A panel discussion on the Importance and Impact of Multicultural Books, moderated by Wade Hudson (president, JUB) will follow from 2-3 pm. Panelists include Hannah Erlich (Lee & Low Books) Mark Weston, author Honda: The Boy Who Dreamed of Cars; and Torrey Maldonado, author, Secret Saturdays.